Do I Want A Chromebook? How Much Do I Really Need To Spend On A School Laptop? Back to school events used to mean buying notebooks and mechanical pencil lead. Now it means making sure you’ve got a tablet or computer for taking notes and reading online courses! While there are plenty of laptops out there that will thoroughly break your bank account, you don’t have to be rolling in cash to get a great computer. We’ve rounded up five of the absolute best laptops under $300 to fit any budget. These days, portable computers come in all shapes, sizes, and configurations. From tiny tablets that fit in the palm of your hand to massive 17” gaming laptops, the options are nearly endless. If you intended to stay under $300, that reduces your overall number of options, however. At this price, most laptops will run on the smaller side between 11 – 14 inches. Within that size bracket you can find a wide range of hardware options. From super fast machines with tiny hard drives to slower models with huge storage, you need to prioritize what feature is most important to you. Do you need the most RAM possible for running multiple programs simultaneously? Would you prefer to go with Windows 10 or with the stripped down Chrome OS? 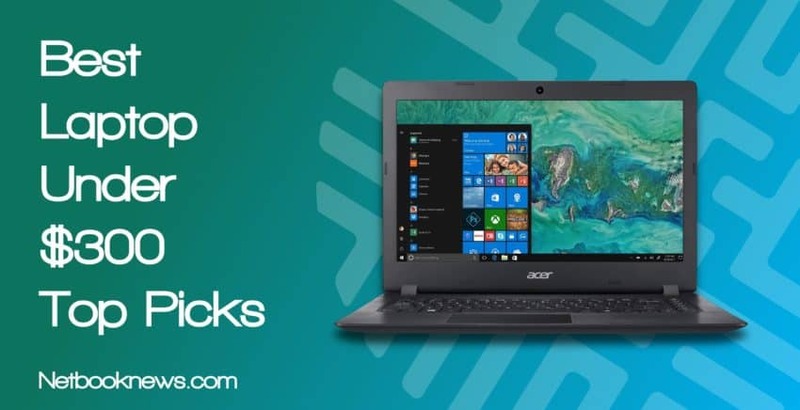 Whether you want a full size laptop for storing work projects or a small tablet with a touch screen, we’ve got a machine that will work for you! Let’s get started by taking a look at the five best contenders in this budget price range. 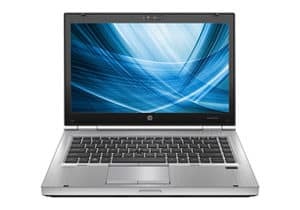 In this year, the refurbished HP EliteBook 8460P absolutely blows away the competition. A full 8GB of RAM and an i5 processor are the absolute best you can get within this price range. When you need the best specs, that’s the laptop to pick — so long as you don’t mind a refurbished unit. 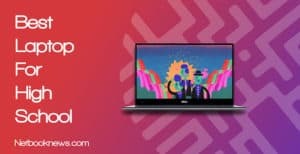 If you prefer a touch screen and don’t want to buy a refurbished model, then the Dell Inspiron 2-in-1 will easily be your best pick instead. Do I Want A Chomebook? 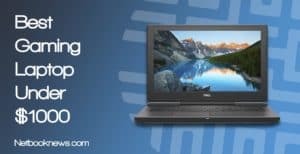 Need To Spend On A School Laptop? 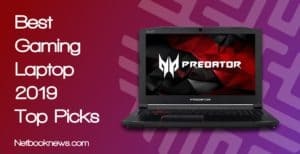 Laptop Under $300 Buying Guide For Our Gamers? Want enough RAM to run multiple programs at once for school, work, or photo editing? This is easily one of the best laptops for college students under $300 and should be your pick! Don’t let the refurbished tag scare of you off, either. Repairing or upgrading this model isn’t that difficult. When you need to save money, a refurbished unit should always be in the back of your mind. The asking price goes down significantly, but you still get decent specs in return. HP’s refurbished EliteBook is typically available in the $250 price range. For college students on a tight budget, that’s a huge plus when you don’t even have to start all the way at $299. In exchange for buying a pre-owned and restored machine, you get a full 8B of RAM. 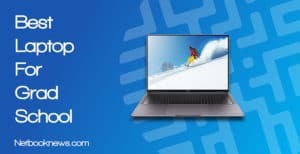 That’s the biggest draw of going this route, as you won’t find a new laptop in this price range with that much memory. This is an excellent entry level option meant for upgrading as you go when funds allows. That’s if you aren’t afraid of opening up your laptop case, anyway! Upgrading a portable computer like this is easier than you’d think. While this unit has plenty of memory out of the box, replacing the HDD with a higher speed solid state drive would provide a huge boost. By selecting a refurbished unit and upgrading, you get a high end machine for a fraction of the price of buying a new computer. One problem is consistently brought up by buyers, however. This particular refurbished unit often has battery issues, so be prepared to spend the cash to buy a new battery fairly quickly. Need an ultra cheap notebook that isn’t meant for gaming or video editing? 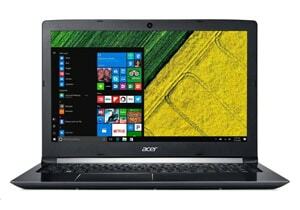 This should be your pick as the test laptop for Internet browsing or basic use. At just over the $200 threshold, the Acer Aspire 1 can be the perfect budget laptop for a specific subset of users. If you need to perform photo or video editing, this won’t be your machine. Instead, this is really the best basic use laptop. You won’t find a cheaper option for browsing social media, emailing, putting together Google Docs, and so on. With a solid state drive, 4GB of RAM, and a huge battery life, this is an excellent budget option that’s well under $250. Of course, trade offs have to be expected to find a notebook at this low a price. Due to its ultra small design, you can’t upgrade any components on this particular machine. The specs you get of of the box will stay that way for the laptop’s entire life cycle. The Aspire 1 gives you the full version of Windows 10, but that can be a potential issue due to the small storage space. Any amount of data — even just spreadsheets or a few MP3s — will prevent you from installing critical Windows updates. Thankfully, there’s an SD card slot for storage, as well as USB ports. Just keep in mind that you will need to buy an SD card or USB hard drive to get the most out of this machine. Buyers love the specs for the price, but do often mention one odd downside. This model has no caps lock indicator light and instead uses a screen overlay. An image will pop up on the screen to alert you when switching between caps or lowercase. If you aren’t used to this design, some users find it annoying at first. Need to save as much money as possible while still getting a machine that can run games at low settings? This should be your pick if you prefer a new portable computer over a refurbished unit. Frankly, at this price point you aren’t going to get anything approaching a decent graphics card. The built-in Radeon R4 chip is about the best you can hope for while staying under $300. There’s still a surprising level of gaming versatility even with these lower specs, however. This is the bottom end of where you can expect to get GTA V to run, but it will install and play on this machine. You can’t expect to play something like Battlefield 1 at high setting here, but anything that’s less graphics-intensive will run at stable frame rates. While meant for school or work, this HP model will give you solid performance on older games. If you still regularly play Fallout New Vegas, The Sims, Diablo, and so on then this isn’t a bad option. Buyers often bring up the included optical DVD-RW drive, which is becoming more of a rarity these days. They also like the HMDI output and extra USB ports for connecting peripherals or using an external monitor. 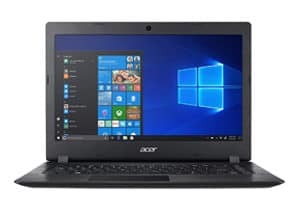 Looking for a low-cost, basic use laptop that’s super lightweight and has a fantastic battery life? This should be your pick! If you plan on staying well under $300, many of the computers available will be netbooks or Chromebooks. There don’t tend to be as many lightweight options available with Windows Home or Pro. The Lenovo N22 solidly breaks that trend. This tiny notebook offers the size and weight of a Chromebook, but with the full version of Windows 10 instead. While the display size is much smaller than your average full laptop, in exchange you get extreme battery life. If you need something that runs all day at school or for working from home, this will be your best bet. The main negative brought up by reviewers deals with a side effect of the small size. This model’s keyboard is rather cramped, and there’s no full 10 key section. Despite the small size and high battery life, this isn’t actually a touch screen model like you might expect. If you want that functionality, check out the next contender instead! Do you prefer the style of a tablet over a bulky computer? This should be your pick as one of the best touchscreen laptops under $300! In terms of specs, this actually meets or exceed several of the options above. The processor and RAM combo is easily on par with the IdeaPad. But without the standard Windows OS and no large storage space, how are you going to play games? Surprisingly, there are quite a few gamer options for Chromebooks these days. Plenty of classic titles are available through the Google Play store and are compatible with a Chromebook. Game like Tekken, Amazing Katamari, and Pocket Mortys — in addition to updated SNES classics — can all be played here. For the Battle Royale fans, don’t forget that Fortnite is slated to hit the Android app store! Note that if you have a gaming desktop already, you can also stream your Steam catalog over to this device with the Steam Link app. Buyers constantly mention loving the high battery life and full 360 degree rotation of the screen. The only downside frequently brought up is the small amount of internal storage space, so look for an online backup solution! Within this price range, you are going to have two main considerations. 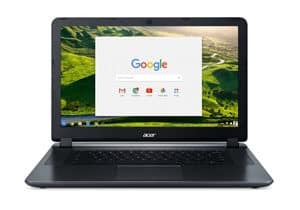 Are you willing to buy a refurbished machine, and do you want a full laptop or a Chromebook with touch screen? After taking into account if you are willing to save money by going refurbed, the hybrid issue depends entirely on what you do with your computer. Are you always glued to your phone and love the touch screen style? Do you need something that’s light and easy to carry between classes? On the other hand, do you prefer more hard drive space for storing photos, music, ebooks, videos, etc.? Either option can work well for school and work tasks, but hybrids tend to weigh much less and have better battery life. If you store most of your data online or use your computer primarily for social media, a hybrid is the way to go. If you need large amounts of physical storage space without spending much money, go with a full size laptop instead. The answer to this question entirely depends on how much power you actually need from a portable computer. Are you primarily just browsing the web and sending emails or writing word docs? Do you need to have dozens of tabs open at once with multiple programs up for editing photos or video? For basic school projects or word processing / spreadsheet creation at work, a cheap computer with 4GB of RAM gets the job done. For anything more heavy duty than those tasks — or to get faster speed while working — you want to bump up to 8GB. In most cases, that means spending more than $300. The only exception there is when you can find pre-owned or refurbished machines with higher end specs. 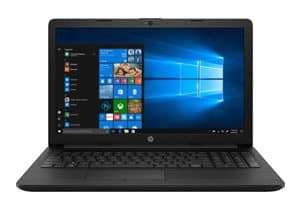 If you find that laptop computers at this price range just don’t offer acceptable speed, try moving up to the $400 – $500 range for the best experience. 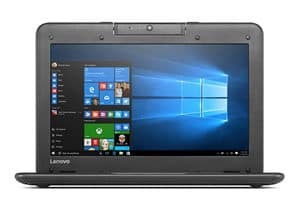 Can I Play Games With These Budget Laptops? In some cases, yes, you can play games, but your options are going to be very limited. At this price range you just won’t get the amount of RAM or processor power required for AAA games. Steam will install on any of these contenders and you can get some classic games running. That being said, these are not meant to be gaming machines. Any games you are able to get running will likely have to run at the lowest possible settings. You may get through some rounds of League Of Legends, but don’t expect to get Arma or Battlefield working. Some older games like GTA V will technically meet the minimum specs on this devices. The lack of a dedicated graphics cards will be your big problem with those games however. With built-in Intel integrated graphics, you won’t get decent frame rates on any newer 3D games. Wonder if laptop in this budget will play your games? Check out the cheapest laptop option to play 50 most popular games. What’s The Best Graphics Card On Laptops Under $300? Without Question, Graphics Will Be The Biggest Bottleneck Here That Interferes With Your Gaming Potential. While You Can Often Upgrade The RAM On Cheap Laptops, There Isn’t Room For A New GPU. Likewise, upgrading the CPU is almost always a no-go on portable computers. That means you want to try to get the best starting options possible if you aren’t willing to go to a higher price range. The GeForce 950M to GTX 1050 graphics card range are where you start to get a high end gaming experience. Unfortunately, that’s just not feasible at this price point and won’t come in most sub-$300 machines. 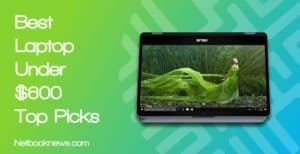 Unless you manage to find a killer sale or get a refurbished system, most laptops under $300 will feature integrated graphics. The best you can usually hope for here is an Intel HD 4000 series or an AMD Radeon R4. With that level of graphics output, expect to play games on low to medium settings at best, and for some newer games not to run at all. You will be unlikely to get playable frame rates on Overwatch or Far Cry 5, for instance. What Do I Lose Out On At This Price Range? When You Have To Stick To A Small Budget, High End Hardware Specs Just Won’t Be Available. Besides Getting Less RAM And A Slower Processor, There Are Other Trade Offs That Will Be Necessary. When you stay below the $300 threshold, lower screen resolutions will be pretty standard in most models. That won’t matter much for web browsing or word processing, but it can be a pain for gaming or watching Netflix. 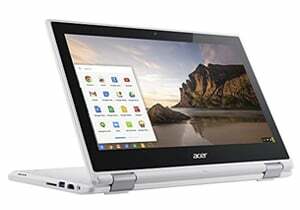 Unless you go with a hybrid tablet / laptop crossover such as the Chromebook, don’t expect to get a touch screen model, either. 14 – 15 inch screens will be the norm, with no options available for larger 17 inch models. With no moving parts and faster boot speeds, solid state drives are now becoming industry standard. They haven’t been adopted yet at the lower price ranges, however. If you get a portable computer at this low a price, you will likely either get a standard HDD, or at most an SSD with a very small storage capacity. An external disc drive will become a necessity if you don’t upgrade the internal drive. How Can I Get A Better Experience From Here? Unquestionably there are many concessions to be made on the hardware side when buying a cheap laptop. You don’t have to go all the way to the bottom of the barrel, however, and there are options for upgrading later. Many lower priced laptops feature a secondary RAM slot so you can upgrade from 4GB to 8GB of memory. Swapping out the existing drive with a larger SSD is also easier than you’d think. In many cases, the upgrade process only requires removing a single screw. With some models the process is a little more intensive, and you may have to pull off the entire bottom cover. For gamers, there are more upgrade options than just increasing the base specs. Don’t forget about external peripherals! You can get a better experience by spending a bit more on a high end gaming mouse, headphones, speakers, or an external monitor. Did you find a budget computer that will work for you in our roundup of the best laptops under $300? Let us know what you think of our picks and be sure to drop us a line if you’ve seen any better deals. We’re always on the lookout to get the best specs at the lowest price!